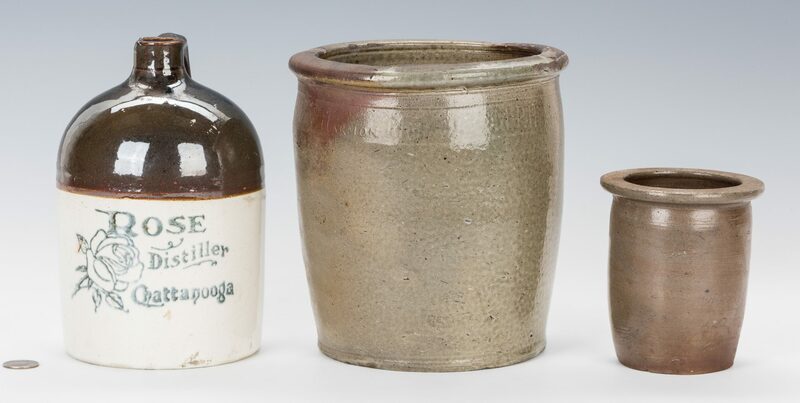 Three (3) East TN pottery items. 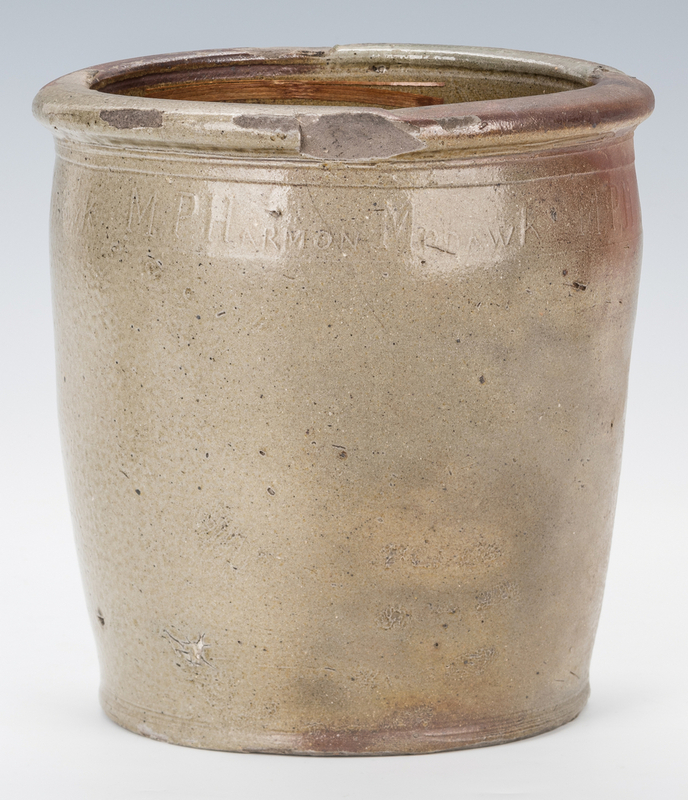 1st item: East Tennessee M. P. Harmon stoneware pottery jar, one with impressed "M P Harmon, Mohawk" coggle around the circumference of the rim, denoting the Harmon Pottery, Mohawk, TN (Greene County). 8" H x 7 3/4" dia. Late 19th century. 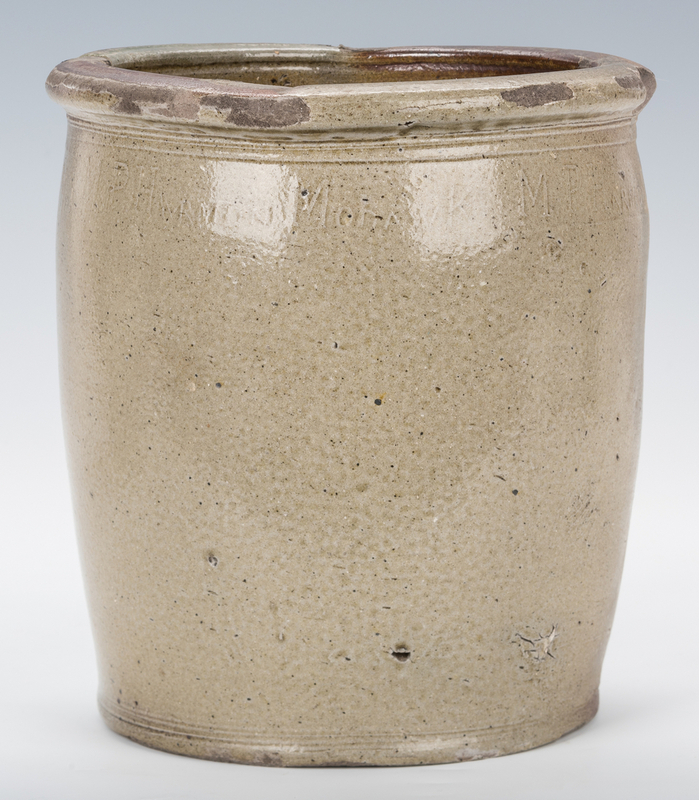 2nd item: Miniature East Tennessee stoneware pottery jar, attributed to M. P Harmon, Greeneville, TN. 5" H x 4 1/4" dia. Late 19th century. 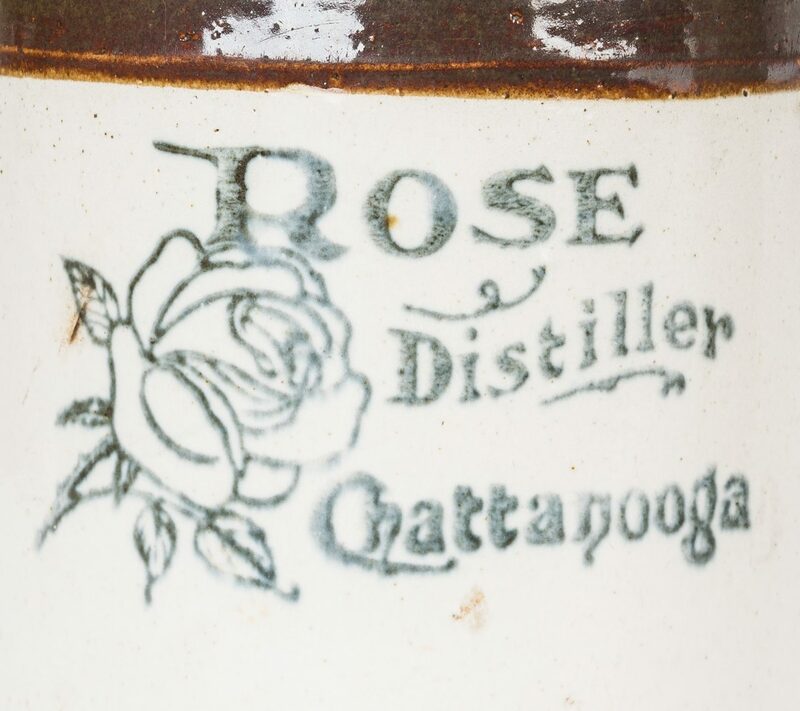 3rd item: Chattanooga, Tennessee whiskey advertising pottery jug, brown to white slip with cobalt stencil reading "Rose Distiller, Chattanooga" along with a cobalt rosebud. 8 1/4" H. Late 19th/early 20th century. Provenance: Private Knox County, TN collection. CONDITION: 1st item: Several breaks and chips to rim, largest 1 1/4" with diagonal hairline crack, approximately 2". 2nd item: A couple of fleabites to the rim, very light spidering to base, not visible from the interior. 3rd item: Old break to rim, firing flaw to side.